This was Diar Consult’s first project in the UAE. 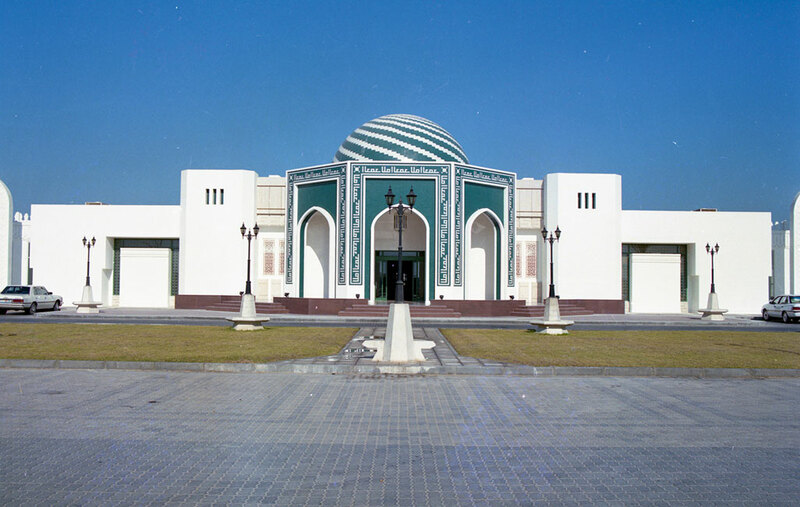 It was the very first shopping mall in the emirate of Ajman, built at a time when there were only a handful of retail malls in the UAE. 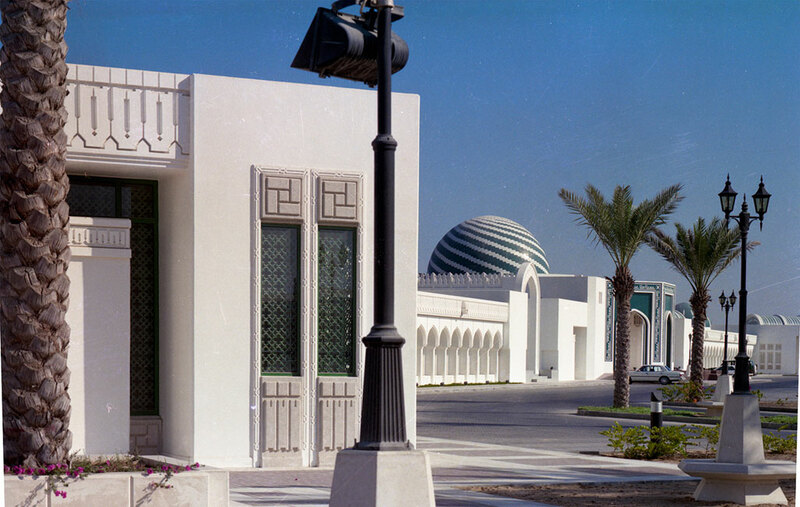 Conceived by an ambitious client who is also a pioneering contractor, it was the first time that glass reinforced concrete (GRC) was used in the country. 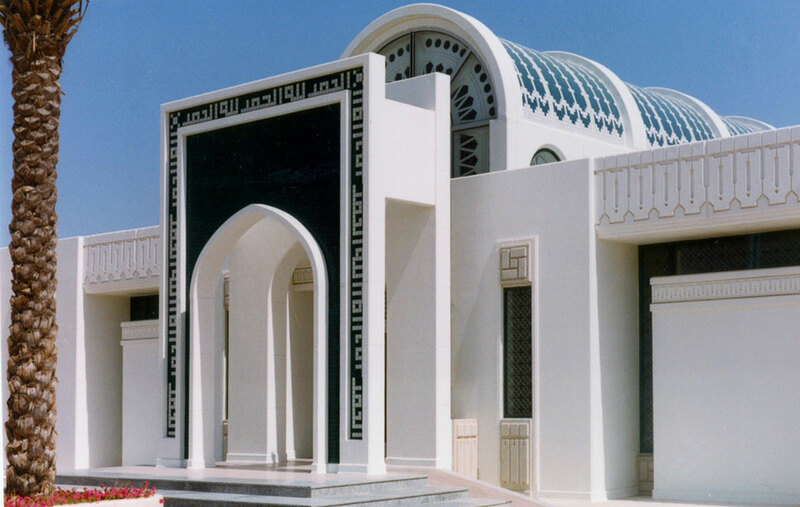 Ajman Souk is a single-storey building designed in Arabian style on a linear site, emulating the older forms of Arabian souks of ancient Arab towns, with tight streets and squares and barrel-vaulted roofs. The internal bazaar streets ultimately lead to the bazaar squares (or meydans) which are transitional public spaces. It is the free-standing version of what would otherwise have been an integrated structure within the old town fabric. Construction was in fact under way and on hold prior to Diar Consult’s involvement. It was a designand- build project that was being executed on a fast track basis, but that had run into problems due to hasty and inadequate preparation. The client requested Diar’s assistance to resolve the issues. The solution was to construct using modular prefabricated elements for façades and roofing, which included barrel vaulting and domes. The domes were precast in one piece and hoisted to the roof by crane, in one lift. In the late 1980s, these were very progressive construction techniques.